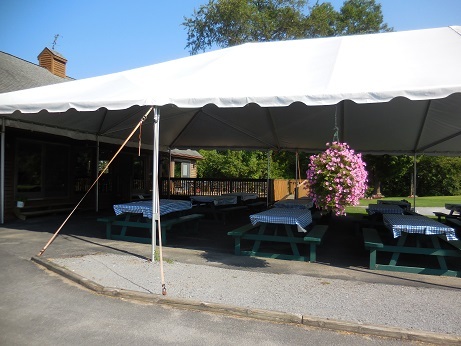 Our Tournament Tent is right outside the Clubhouse Tavern doors. 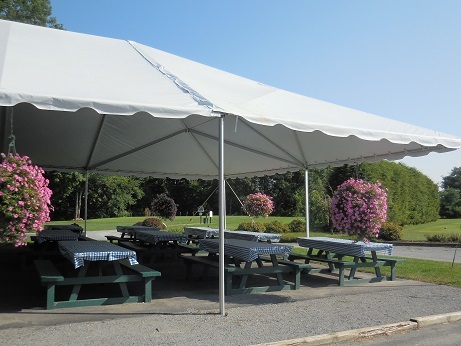 Twelve large picnic tables are out under it offering seating for 120-150. 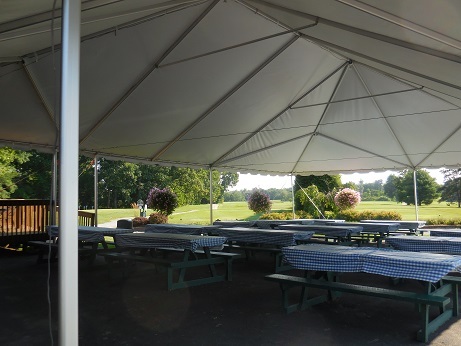 Many times during tournaments golfers chose to spread out and on to the Tavern deck attached to the building looking onto the tent area. The grills are right there for the BBQ. Buffet tables with linens are set up for large groups. Buffet lines move quickly and the servers are available to meet your every need. 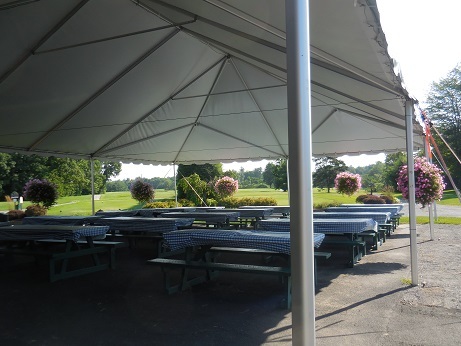 There's something special about a beautiful day and that fine tent that makes everyone comfortable and happy.